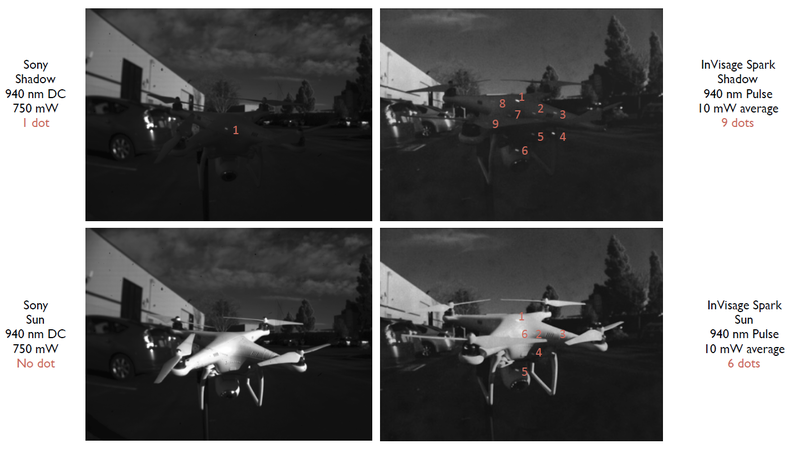 "While the previous product stabilizes images with a gyroscope, the new product takes into account the data on the amount of camera shake obtained from the image data collected by the CMOS sensor. Canon calls this function "Dual Sensing IS." In addition, a "panning" mode was added by using the image stabilization function. The camera instantly analyzes the moving speed of the camera and the moving speed and direction of the subject and calculates the best shooting conditions. As a result, it became easy to take an image with a flowing background while stabilizing the image of the subject." BusinessWire: ON Semiconductor introduces the AR0135 global shutter CMOS sensor, an 1/3-inch, 1.2 MP device aimed to automotive imaging as well as high-speed barcode scanning, and emerging applications like virtual reality and 3D depth sensing. The new innovative global shutter pixel design has 10X lower dark current and 4X higher shutter efficiency vs. previous generation products. This 1280 x 960 resolution device is capable of 54fps at full resolution and 720p at 60fps. The AR0135AT is qualified to meet the AEC-Q100 Grade 2 temperature range of -40 to 105°C, while the AR0135CS supports the standard temperature range of -30 to 70°C. Engineering samples are available now, and the devices will be in production in 3Q16. "So why is the SmartSensor just now arriving? Let's have a look at just how difficult it was to bring about this technology. To achieve three-axis sensor-based stabilization, the image sensor needs to be suspended in a very small space to allow for rotation around a central axis. Another challenge brought by suspension is signal transmission. The SmartSensor presents the challenge of having to connect over 200 signal wires from the floating sensor to the main board. This was the key puzzle that OPPO and MEMS Drive solved through years of research." GSM Arena reports from the MWC 2016 Oppo booth: "Oppo SmartSensor image stabilization can correct up to 1.5° of motion and works on sensors ranging from 1/1.8" (bigger than any phone yet) and 1/3" (typical of mid-range phones). 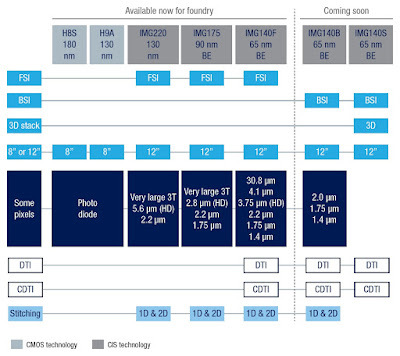 It's also smaller than a typical OIS module, so we may see it in thinner phones." While being a very impressive technology, 1.5deg is somewhat limited range for a high quality OIS. Apparently, the company that supplied the technology to Oppo is MEMS Drive, based in Pasadena, CA. BusinessWire: Heptagon announces a mobile iris scanning solution leveraging IriTech’s iris recognition algorithms and software as well as Heptagon’s newly launched mobile imaging demo platform. The new Heptagon module features proprietary illumination and a ToF sensor optimized for iris recognition, eye tracking, and face detection applications. The solution significantly reduces host system computational complexity, latency and power consumption. Depth information is used to improve speed and accuracy of iris scan applications and enables smaller baselines for mobile integration. The system will also benefit from the Heptagon’s Focus Controlled Packaging (FCP) camera technology that allows even further miniaturization. Iris recognition applications in the consumer electronics market are forecasted to grow to $3.6B by 2020 making this the fastest growing segment of the iris recognition market. PRNewswire: OmniVision announces the OV13870 PureCel Plus-S image sensor. The 1/2.6-inch 13MP, 1.25um pixel OV13870 features a 12-bit ADC to enable better low-light SNR, PDAF, and dedicated support for dual-camera functionality. "The trend towards bigger pixels is picking up as the resolution race slows down, making the OV13870's larger 1.25-micron pixel and high-speed architecture well-suited for premium mobile applications," said Manish Shelat, senior product marketing manager at OmniVision. "The OV13870's enhanced dual camera capability can provide key functionality to device makers as they address the growing trend of dual aperture cameras in mobile imaging that enable advanced features and better image quality." Built on OmniVision's new 1.25um PureCel Plus-S pixel architecture, the OV13870 significant improves the low-light performance and pixel crosstalk while maintaining an optical format of 1/2.6‑inch and a compact, 5.2 mm module height for slim smartphones. The OV13870 features significantly better overall pixel performance compared to previous generation 13MP image sensors. The OV13870 can capture full-resolution 13MP still images at 45fps or record 4K2K video at 60fps, 1080p at 240fps, or 720p at 300 FPS with binning and cropping. The OV13870 is currently available for sampling, and is expected to enter volume production in Q2 2016. Rambus expands its lensless smart sensor (LSS) technology to thermal sensing. Target applications that can benefit from the small size and affordability of thermal and visible LSS technology include automotive passenger detection, virtual and augmented reality eye tracking, and smart home presence detection. PRNewswire: SoftKinetic, the fully owned Sony subsidiary, announces that Akihiro Hasegawa has joined the company as CEO. Bringing over 35 years of experience with Sony Corporation, Hasegawa's appointment follows Sony's acquisition of SoftKinetic in October 2015. His leadership and experience with Sony will harmonize the strategic vision of the two companies as SoftKinetic continues to lead and innovate in the 3D vision and gesture recognition solution markets. "SoftKinetic's award-winning technology is behind many of the 3D and gesture-based features available today in automotive, gaming, VR and AR, and it is an important complement to Sony's image sensor business," said Mr. Hasegawa. "Yet, there is much more opportunity ahead. I am looking forward to living in Belgium, growing the SoftKinetic team and moving the company towards even greater successes." Hasegawa's goal is to guide SoftKinetic from start-up to a mature, global company using his core values - burezu (determination), dojizu (a firm mindset), and kakujitsu (confident execution). Hasegawa began his career with Sony as an engineer before moving on to Sony's component and device, and then to sales and marketing. He has been a VP of Sony Corporation since June 2011, and has lived in Asia as well as the US in other executive roles within Sony. Michel Tombroff, the former Softkinetic CEO, has left the company. BusinessWire: Heptagon developed the world’s smallest near-field optical sensing module with thickness of 350um and a 2mm2 surface area, which includes a built-in illuminator, light sensor, electronics, crosstalk prevention features, and a lens system. To put that into perspective, Heptagon’s new module is 4x thinner than a US 1 cent coin. Comparable products currently available are 40% thicker. BusinessWire: In a separate PR, Heptagon announces it has shipped over 2 billion units to customers. The company, which is headquartered in Singapore, recently opened a new factory with expanded capacity to ship 1 billion units per year. Heptagon serves some of the largest makers of mobile and IoT products in the world. "We are well positioned to pursue new market opportunities with the expansion of our fab in Woodlands, Singapore and the opening of our new factory in Ang Mo Kio, Singapore," says S.C. Leong, Heptagon’s COO. “We remain committed to uncompromising quality and our proven ability to move quickly from white board to shipping 100s of millions of units." In addition to opening the new factory in Singapore, Heptagon has expanded its sales, marketing and engineering presence in Silicon Valley. Heptagon’s newly created Silicon Valley Labs and Executive Briefing Center showcase the latest interface and sensing technologies while providing convenient access for the innovators and decision makers in Silicon Valley. BusinessWire: ON Semiconductor presents AR1337, a 1/3.2-inch 13MP BSI device for consumer products such as smartphones and tablets. The AR1337 incorporates SuperPD PDAF technology, which delivers focus speeds of 300 ms or less - even in low lighting conditions below 25 lux. Furthermore, by utilizing its on-chip PDAF processing the AR1337 simplifies integration into smartphone platforms. This AR1337 image sensor has a 4208 x 3120 array of the company’s proprietary advanced 1.1µm pixels, said to have the best in class SNR. Its QE reaches up to 82%, providing industry-leading sensitivity. The AR1337 speed at full resolution is 30fps and supports many video modes including 4K video at 30 fps and 1080P video at 60 fps. The camera synchronization controls enable dual camera video capture. The AR1337 is sampling in Bare die format today and is expected to be in mass production in Q2 2016. "The advantage of the Dual Pixel image sensor in the Galaxy S7 is most evident when taking pictures in a low-light environment. The newest smartphone model is equipped with 1.4um pixels (a 56 percent increase in size compared to the Galaxy S6) and a large F1.7 aperture (which allows for 25 percent more brightness). Combined, these features enable for 95 percent more light compared to its predecessor, which subsequently results in a much brighter and sharper image. Furthermore, the new model employs autofocusing at considerably faster speeds, allowing for faster shooting." MTF of a mobile camera. (a) Conventional flat field design at f/2.2. (b) Representative lens imaging on a curved sensor at f/1.6. The lens imaging on a curved sensor is one f-number faster and shows more uniform performance over the field. OTF: Optical transfer function. Sensitivity to lens element decenter (left) and tilt (right). Lens imaging on a curved sensor shows better as-built performance. The horizontal line indicates the nominal criterion value. RSS RMS: Root sum square, root mean square. "In this work we demonstrate theoretically and experimentally the capability to reduce the readout noise of an optical and X-ray photon detector based on the semiconductor DEPFET device below a level of only 0.3e- ENC (equivalent noise charge). The readout method used is called "repetitive non destructive readout" (RNDR) and was realized by placing two single DEPFET-devices next to each other and by coupling their charge storing region by an additional gate. By transferring the stored charge from one DEPFET to the other and vice versa the same charge can be measured non-destructively and arbitrarily often. Taking the average value of a large number n of these measurements, the noise is reduced by 1/radicn. The main advantage of such a detector is to greatly reduce the contribution of the 1/f noise to the readout noise. The theoretically and experimentally achievable resolution for different operating parameters (leakage current, readout noise, number and duration of readouts) was investigated by Monte-Carlo simulations and verified on a real RNDR minimatrix (pixelarray). Single optical photon detection with high quantum efficiency and, even more fascinating, the possibility to distinguish between different numbers of photons, e.g., 100 from 101 are demonstrated in measurements." Thanks to LP for the link! "Due to the composition of our atmosphere, the sun emits only about a quarter of the radiation at 940nm than it does at 850nm. That means that a much-less-powerful LED can be used for outdoor applications, and still be effective. That is why the SparkP2 out-performs current-model back-side illuminated (BSI) sensors outdoors — even using a much-lower-power 10 mW LED instead of a 750 mW LED — at least according to Invisage’s tests:"
US5001367 "High speed complementary field effect transistor logic circuits" filed in 1989 and describing an inverter chain with a sequential size scaling. US5030853 "High speed logic and memory family using ring segment buffer" filed in 1990, describing an inverter chain with a positive feedback. US5391949 "Differential latching inverter circuit" filed in 1995, describing a latched logic buffer. 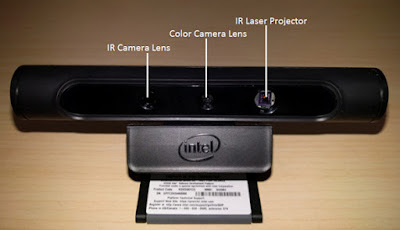 Neither patent has a direct relation to the image sensor technology. 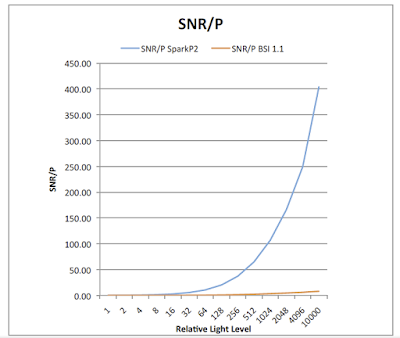 BusinessWire: Invisage announces SparkP2 sensor featuring global shutter, 3x higher light response in 940nm NIR band and over 20x lower power consumption than competing solutions. SparkP2 is a 1.1 um pixel, 2MP QuantumFilm sensor in 1/7-inch format for a less than 3mm thin z-height. 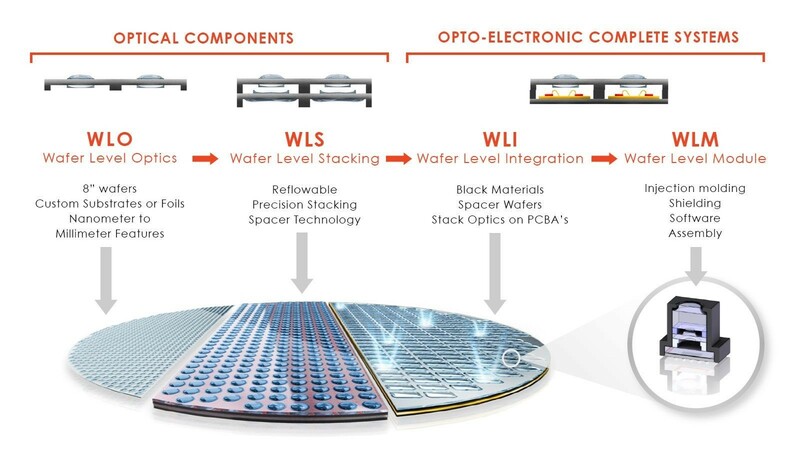 Talking about structured light 3D sensors, InVisage QuantumFilm global shutter works in tune with a pulsed LED, which optimizes the LED battery usage to be just 10 mW (versus 750 mW for LEDs used with rolling shutter NIR cameras). 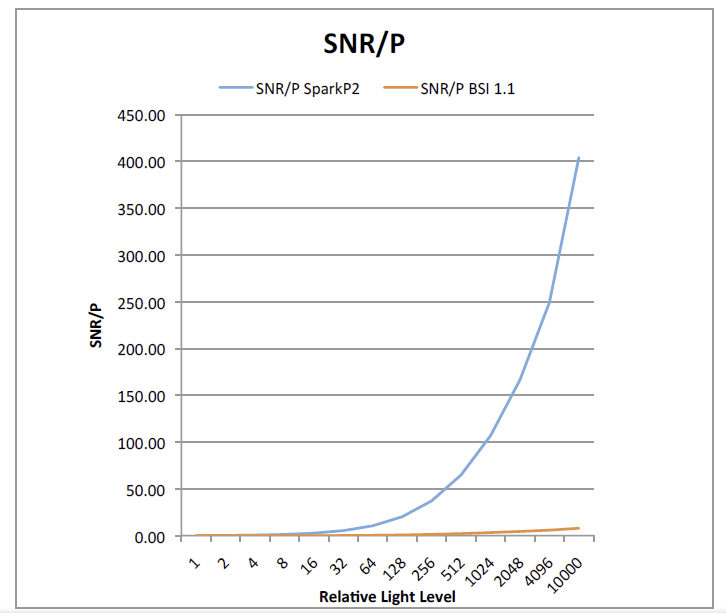 SparkP2’s fast global shutter allows the NIR light source to be pulsed for extremely short intervals instead of remaining continuously illuminated, thus overcoming sunlight while at the same time capturing movement more accurately and using far less net power. SparkP2 is sampling in April 2016 with mass production scheduled by Summer 2016. PRNewswire: CEVA announces that LG has licensed the CEVA imaging and vision DSP for its mobile device products. "We are delighted to announce LG Electronics as a customer for our imaging and vision DSP," said Gideon Wertheizer, CEO of CEVA. "Their market leadership and stellar reputation for leading edge innovation in mobile enables them to fully leverage the capabilities of our DSP to add feature-rich, differentiated vision-based technologies to their mobile devices." ALA-News: ULIS announces that the company experienced strong growth in 2015, with close to a 20% increase in volume sales over 2014. New customers in outdoor leisure equipment, continued sustainable growth in traditional markets, such as surveillance, thermography and defense, and several key contract wins drove the bulk of ULIS’ €48M ($52.3M) activity in 2015. ULIS’ unit sales climbed to 94,286 in 2015, up from 79,350 the previous year. “The pattern of ULIS’ volume sales performance appears to reflect market analyst forecasts of rapid growth within the uncooled infrared camera market, indicating +22% CAGR in units between 2015 – 2020,” said Dr Eric Mounier, senior technology and market analyst, MEMS & Sensors at Yole Développement. Currently, ULIS is close to going to market with its Pixel Level Packaging (PLP), which is at the industrial process stage. As the pioneer of the 17um pixel pitch thermal image sensor, the current industry standard, ULIS is pursuing development of its 12um pixel pitch thermal image sensors, which is nearing completion. Sony announces the commercialization of IMX318 stacked image sensor for smartphones and other devices, a 1/2.6-inch, 22.5MP stacked CMOS sensor with the industry's first built-in high-speed hybrid autofocus (PDAF), as fast as 0.03s (and as fast as 0.017s when shooting video at 60fps), and built-in 3-axis EIS for video. Sony 4K video stabilization relies on the signal output obtained from the external 3-axis (pitch, yaw, and roll) gyro sensor and is said to consume low power. 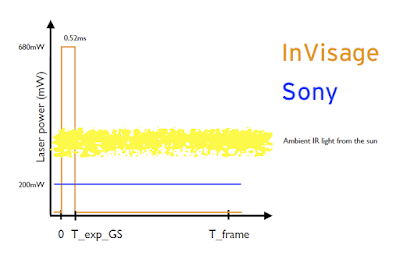 Sony's unique image stabilization technology incorporated into the IMX318 corrects not only camera shake, but also lens distortion. The sensor features Sony new 1.0um pixel. Sony aims to begin shipments for this new CMOS image sensor in May, 2016. EETimes: "Two French scientists, Ryad Benosman and Christoph Posch... founded Chronocam in 2014. They’ve developed an image sensor designed to capture images not based on artificially created frames, but driven by events within view. 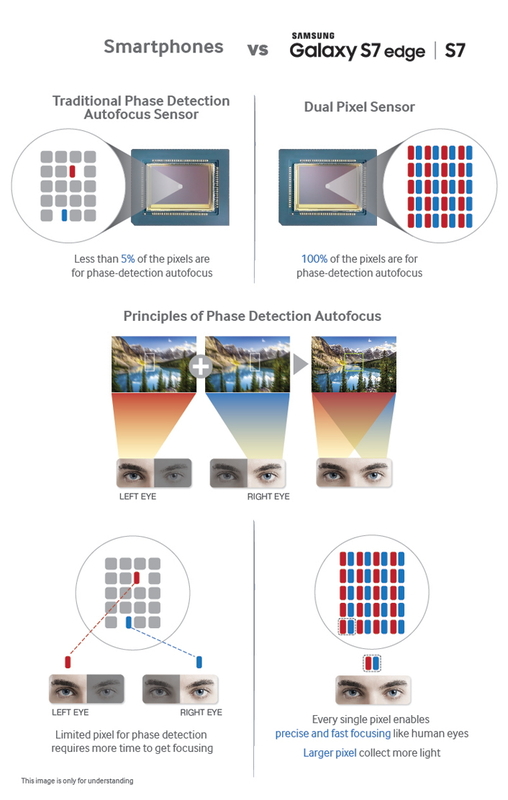 “Each pixel individually controls its sampling – with no clock involved – by reacting to light, or changes in the amount of incident light it receives,” explained Posch, Chronocam’s CTO. “Frame-based video acquisition is fundamentally flawed,” Chronocam CTO Posch decreed. Chronocam has applied and tested its sensor’s principles in restoring people’s vision at Pixium Vision, a retina prosthetic company founded by Chronocam’s co-founders. Chronocam has raised 1.5 million euro so far. Among investors are CEA Investment and Robert Bosch VC. Chronocam’s CCMA ATIS 1.1 sensor, whose supply voltage is 3.3V (analog), 1.8V(digital), comes in a 9.9 x 8.2mm2 chip size, featuring 2/3-inch optical format. Its array size is 304 x 240 QVGA, with a pixel size of 30μm × 30μm. The power consumption is less than 10mW. Chronocam is open to licensing its technology to others." Imec presents a new hyperspectral sensor with extended spectral range, going from the visible light (VIS) up to near infrared (NIR). The new line-scan VNIR (visible to near-infrared) sensor and snapshot mosaic VNIR camera outperform current solutions in spectral range and compactness. Example applications for the line-scan sensor are machine vision and remote sensing applications, e .g. precision agriculture using UAVs and satellites. It features 140+bands in the 470-900nm range. Its small form factor is the result of extreme integration of the hyperspectral filter onto the CMOS sensor. “Working closely with two of our camera partners, VRmagic and Cubert Gmbh, we have realized one of the most advanced snapshot hyperspectral imaging cameras. It captures 40+ bands ranging from 450-875 m, at video-rate speed acquisition. This achievement clearly sets a new milestone for the real-time snapshot hyperspectral imaging camera market,” explains Jerome Baron, Business development manager integrated imaging at imec. "Revenue for Image Sensor Group was approximately $184 million, down approximately three percent as compared to the third quarter. Our momentum in CMOS image sensors for automotive application remained intact driven by steep adoption of ADAS and viewing cameras. Though Aptina has been a key driver of our growth, especially in the automotive market, our performance on organic basis exceeded that of the industry in 2015. We successfully integrated Aptina, and results from Aptina far exceeded our expectations and the guidance we provided to the investment community. We believe that we are in early stages of realizing full potential of our acquisition of Aptina. With Aptina, we believe that ON Semiconductor is among the best positioned companies to benefit from steep adoption of ADAS in automobiles. In 2015, we significantly improved our market positon in security related imaging market with year over year revenue growth of 15%." IMEC presents a lens-free microscope for large field-of-view live imaging at micrometer resolution. Its key benefits include super-large field-of-view at micrometer resolution and a compact and modular design. In a lens-free digital microscope, images are captured on a CMOS sensor, and digitally reconstructed using software. Imec’s lens-free microscope features a comparable micrometer-scale accuracy as traditional optical microscopes. While being much smaller and less expensive, imec’s microscope captures a larger field-of-view in one shot, enabling shorter sample processing times. The lens-free microscope paves the way to new applications with living cells and tissues.